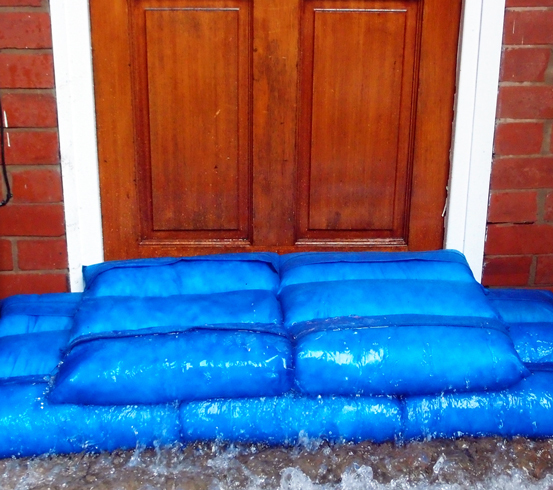 Home and business owners affected by the recent heavy flooding can, since April 1st 2014, apply for a government grant of up to £5,000 with which to purchase protective measures against future floods. 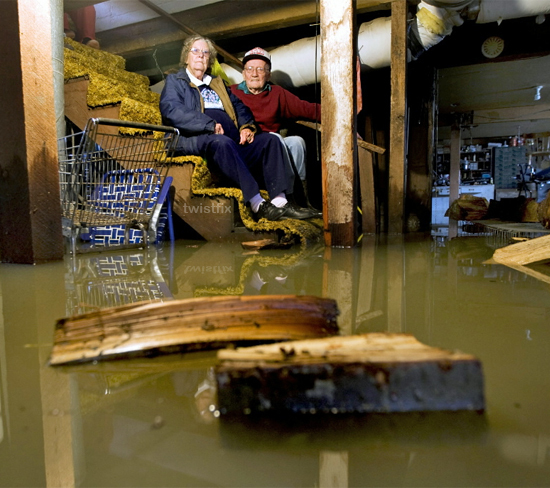 A wide range of flood resilience systems can be applied for, including sump pumps, timber replacement and damp proof courses. Since December last year, more than 10,000 UK homes and businesses have suffered damage as a result of heavy rain and flooding. The grant scheme has been implemented as part of the government's pledge that money to help those affected would be "no object" and that "decisive action" had to be taken. As well as the homeowner grant scheme, the government also announced council tax rebates, a 100% business-rate relief for a period of three months and extra help for farmers hit by the bad weather. 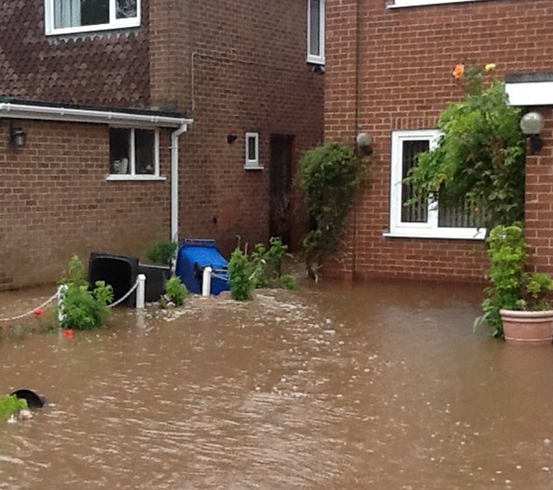 The Resilience & Resistance Grant is on offer to any homeowner in England whose property was (or will become) affected by heavy rain and flooding between December 1st 2013 and May 31st 2014. The grants may be used to waterproof walls and doors or simply to raise appliances and services. Homeowners can even use part of the grant to engage the services of a competent, qualified professional contractor to create a bespoke restoration plan. To assist private individuals and contractors to quickly and conveniently gain access to our superlative selection of relevant products, we have created a new 'Flood Restoration' section on our website. This section includes waterproofing equipment, Waterguard drainage channels, water-repellent timber treatments, Hydrosack barriers and the fantastic and comprehensive Flood Pump Kit. Many of the items in this section feature discounts in April 2014 of between 5% and 15% on their already-low prices, making them even more cost-effective. New to Twistfix and quickly becoming a major bestseller, the Flood Pump Kit is simple to operate, highly effective and impeccably efficient. Able to discharge a massive 10,000 litres in just a single hour of operation (almost three litres every second), the flood pump itself is incredibly versatile and can be operated independently or, for added protection, within the lidded filter tank. Fully submersible and completely automatic, the reliable and durable pump is supplied with a long discharge hose of 20 metres which features a handy quick-fix connector. The pump is particularly effective at solving the complex problem of floodwater beneath a suspended floor; by being stored in this area, the pumping kit can be set to automatically switch on as and when required. 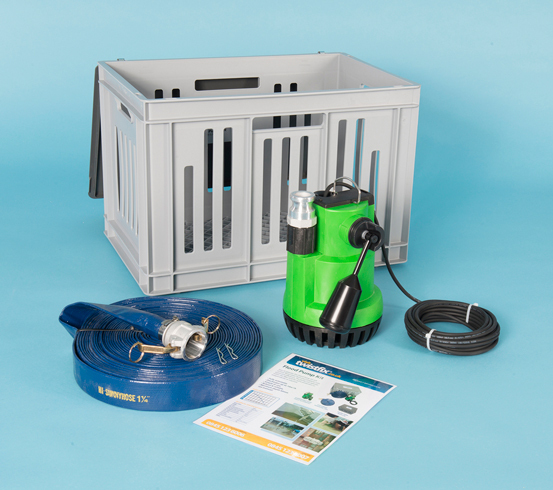 A highly cost-effective choice, the Flood Pump Kit is currently available with a massive 15% reduction in price. If you are intending to apply for a grant, use our convenient Find-a-Contractor service to locate a reliable local professional to offer expert advice. Contractors wishing to add their business to this list can quickly and easily do so, resulting in a marked increase in leads as the service is regularly used by many thousands of our customers. Please enjoy browsing the new Twistfix 'Flood Restoration' section and do not hesitate to contact our team for further information by calling 0845 123 6006 or emailing sales@twistfix.co.uk.